We are offering a virtual mailbox service for companies looking to have a professional office address. The customer may use the address for registering their business at Companies House, providing they comply with all other Companies House requirements. Contracts will be for minimum 3 months. This is only for letter correspondence, we are not offering to take and store parcels for companies. If you would like to sign up for a virtual mailbox, please phone us to ensure this service is right for your business needs. We will accept letters and sign for, where required, royal mail recorded deliveries. We do not take in parcels and store them free of charge. This service is suited to a person looking to expand their business. 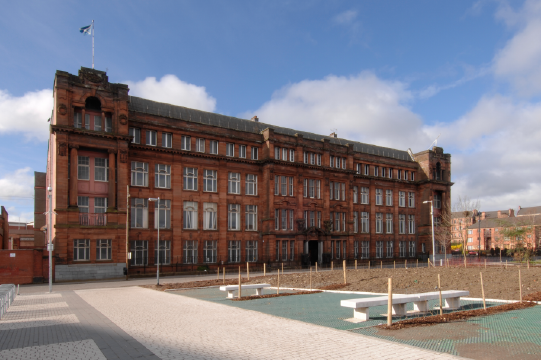 When your business grows and you want an office, we can talk to you about office space in our Glasgow building, or we can speak to you about our Paisley buildings. We offer the same service at Abbey Mill Business Centre’s 4 landmark Paisley buildings.